Arsenal side-stepped Queens Park Rangers as goals from Alexis Sanchez and Tomas Rosicky saw the 10-man side hold on to pick up all three post-Christmas points. Wenger was looking to make signings and make a stronger team for the second half of the season but today's win showed how strong the squad is with Rosicky and Alexis. The teams were ready for a rather damp Boxing Day at the Emirates, as QPR got things underway. Sanchez performed cheeky keepy uppys, he pulled of a cross that found Robert Green. Sanchez went down, Traore with the tackle, leading to an Arsenal penalty which was saved well by Robert Green. Traore was grateful. A Rosicky cross found no one. 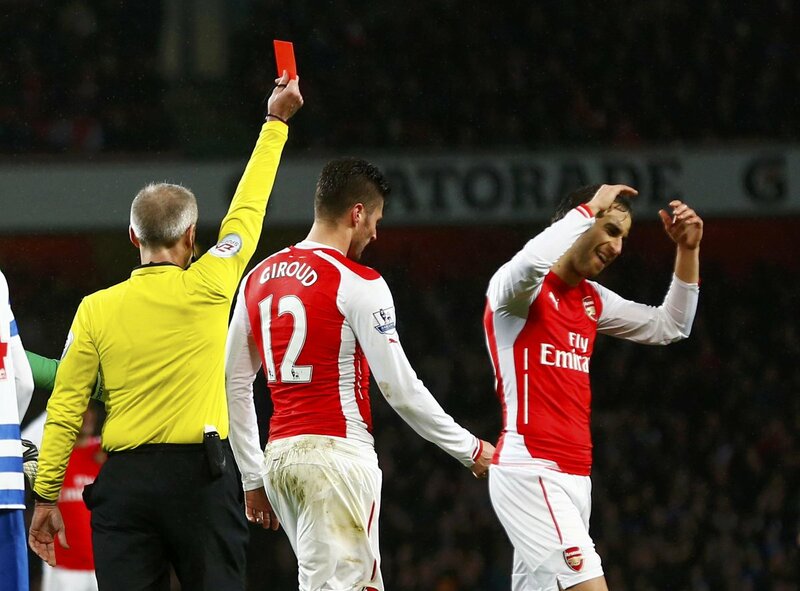 Giroud took a free kick, Green made a good save moments later. A terrific move from Arsenal, Gibbs was found on the left wing, Sanchez in the middle, the Chilean headed in from close range to put the Gunners ahead. It was one way traffic at the interval. Arsenal had the best of possession and showed their superiority and confidence that they can get a good place in the Premier League by the end of the season. The second half was back underway and Giroud got fouled by Onouha, the Frenchman head butted the QPR man, Giroud got sent off for his actions. Rosicky marked his comeback with a goal, he struck the ball past Green into the left corner. Alexis also made an amazing run. QPR got a penalty late on and it was Charlie Austin who out the ball away but it wasn't enough for for the team from the other side of London. Welbeck went off and got replaced by Francis Coquelin. Alexis Sanchez was the Man of the Match in this Friday night Boxing Day game. Francis Coquelin got a yellow card, but the game was then over after a Kranjcar free kick was adrift of the goal and Arsenal won the game. Arsenal took QPR all the way and the Gunners go sixth in the Premier League over their cross city rivals Tottenham Hotspur. 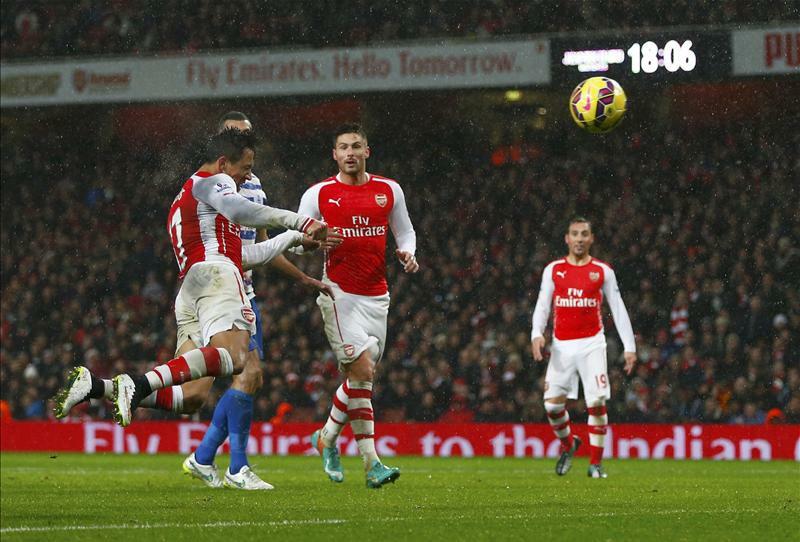 Alexis Sanchez and Tomas Rosicky lift 10-man Arsenal over Queens Park Rangers on 2014 Boxing Day.